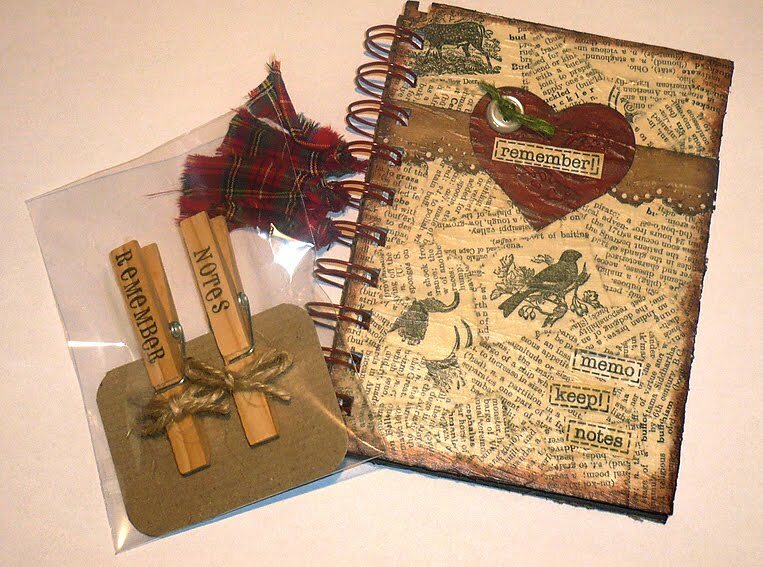 Meanwhile I'll leave you with a pic of a notebook made for a xmas pressie (dust off that bind-it-all) using some recycled corrie cardboard, vintage dictionary pages and my favourite glue ever - Golden Gel which dries with a bumpy brushed texture. Love it! Hope Santa brings you all new stash to play with! Have a fabsy Christmas everyone! Wow! 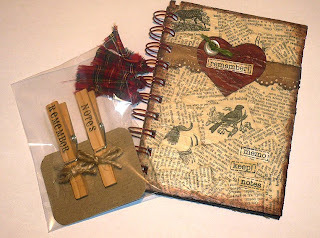 it sounds like you've been very busy, crafty wise, love the sound of everything, and love your journal and little pegs, Gosh! how cute are those? just adorable! Well done on winning your subscription too! Good luck with your smash book, I tried to make one myself recently. I spent a whole night on it, but really wasn't very happy with mine. I was naughty and crumbled in the end, and bought one, plus one each for the kids for Christmas, thought it would be a fun project for us to do together. They arrived this week, and I am soooooo delighted with them. I went for the blue retro, and then ordered another pink one for me, lol! They were £9.99 each with free P&P from Oyster Stamps, with fab service. The pink one is soooo scrummy! I normally try to recycle as much as I can, but would highly recommend going for this one Jak, the papers are such fun and really lovely too. Saying that, I do love the handmade ones too (just not mine, lol) so shall look forward to seeing yours. Hope you and your family have a fab Christmas.